Top editors at the Institute of Physics selected the review article written by Pacific Northwest National Laboratory's Dr. Scott Chambers for its potential to significantly advance the frontiers of materials research. The institute assembles a select set of articles that demonstrate thought leadership in physics and promotes the articles through IoP Select. Chambers' 8-page article reviews the scientific opportunities and challenges of molecular beam epitaxy or MBE. Using MBE, researchers can build flawless crystalline films because they can deposit atoms, one layer at a time, on a surface or substrate. The insights scientists gain from studying these films allow them to deliver new materials and understanding in electronics, magnetics, catalysis, sensing, and fundamental surface science. However, MBE growth of oxides presents a host of challenges. One of the greatest challenges is determining the arrival rate of metal atoms at the substrate during deposition. The solid metal chunk used as a source develops an oxide coating. This coating results in a change in the evaporation rate of the metal at a given temperature, thereby throwing off the rate calibration, which is typically carried out in a high vacuum environment. It is not unusual for the rate to drop by a factor of three or four. This coating is much like the skin on an orange, making it harder to squeeze out the juice. This challenge is compounded by the current methods of measuring atom beam fluxes. For example, most atomic absorption spectroscopy systems, in which a beam of light is used to determine the density of atoms in an atom beam, is not sufficiently sensitive or stable. New technologies that sense the atom beam in real time during the growth of the crystal are being developed, allowing scientists to grow any oxide crystal desired with an unprecedented level of control. 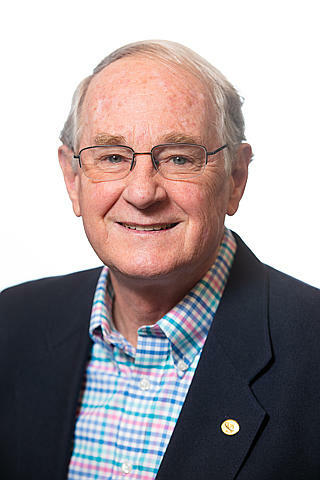 Chambers was asked to write the article on MBE because of his research at PNNL, including his work with the Institute for Integrated Catalysis and his work developing oxide MBE in the Department of Energy's EMSL, a national scientific user facility at PNNL. Citation: Chambers, SA. 2008. "Molecular beam epitaxial growth of doped oxide semiconductors." Journal of Physics: Condensed Matter 20:264004.